Shawn Oller | Littler Mendelson P.C. 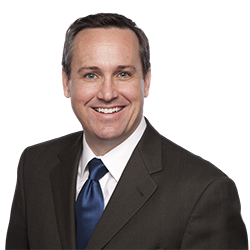 Ninth Circuit: successfully argued before the Ninth Circuit the application of the Religious Organization Exemption under Title VII which affirmed the trial court’s decision to dismiss plaintiff’s claims. U.S. District Court, District of Arizona: defense verdict in jury trial over issue of independent contractor status in a multi-plaintiff case. U.S. District Court, District of Arizona: obtained adverse inference in trade secret case based on destruction of evidence, leading to favorable settlement for client. U.S. District Court, District of Arizona: defense verdict against the Equal Employment Opportunity Commission in trial of retaliation case under the Americans with Disabilities Act, following dismissal of disability discrimination claim on summary judgment. U.S. District Court, District of New Mexico: defense verdict in trial of race discrimination and hostile work environment case under Title VII and Section 1981 where third-party witnesses testified about the allegedly hostile work environment and plaintiff’s expert witness diagnosed plaintiff with post-traumatic stress disorder. District Court, El Paso, Texas: obtained dismissal with prejudice of nonsubscriber negligence claim for health-care client. Superior Court of Arizona: obtained summary judgment on behalf of municipality against former employee because plaintiff’s claims, based on alleged constructive discharge, were untimely. Texas Court of Appeals: unanimous opinion reversing trial court and ordering plaintiff’s claims to arbitration pursuant to parties’ agreement. U.S. District Court, District of Arizona: obtained summary judgment against 19 “class” members in sexual harassment case filed by Equal Employment Opportunity Commission and Arizona Attorney General’s Office. Superior Court of Arizona: obtained summary judgment on behalf of municipality against 1100+ members of class and, later, decertifying class as to remaining 35 individuals. U.S. District Court, District of New Mexico: during deposition of plaintiff-whistleblower, obtained voluntary dismissal of all claims against client in exchange for waiving potential sanctions against plaintiff and opposing counsel. U.S. District Court, Western District of Texas: dismissal of FMLA claim against trucking company because truck driver was ineligible for FMLA benefits. United States Court of Appeals, Ninth Circuit: unanimous opinion affirming dismissal of police officer's lawsuit against municipality for alleged violations of Title II of the ADA. U.S. District Court, District of Arizona: obtained summary judgment on behalf of municipality against two former police officers alleging gender and race discrimination as well as retaliation against former municipal employer. New Mexico Court of Appeals: unanimous opinion affirming summary judgment and dismissing plaintiff's claims based on federal labor law preemption. U.S. Court of Appeals, Fifth Circuit: unanimous opinion affirming summary judgment for trucking company under Motor Carrier Act exemption and holding that staff leasing company stands in shoes of trucking company for exemption purposes. U.S. District Court, Northern District of Texas: obtained summary judgment on behalf of defendant trucking company, dismissing 26-plaintiff collective action under the FLSA based upon Motor Carrier Act exemption. U.S. Court of Appeals, Tenth Circuit: unanimous opinion affirming summary judgment in race discrimination claim under Title VII. U.S. District Court, District of New Mexico: obtained summary judgment on behalf of retail superstore in third-party retaliation claim under Title VII. U.S. District Court, Northern District of Texas: obtained order on behalf of defendant trucking company denying plaintiffs' motions to certify FLSA collective action and motion to toll limitations period. U.S. District Court, Arizona: obtained summary judgment for the Diocese under the Ministerial Act exemption in highly publicized case. Texas Court of Appeals: opinion affirming summary judgment for employer in a nonsubscriber negligence action under Texas law. United States District Court, Western District of Texas: sister decisions from the Western District of Texas exploring contours of the WARN act. Shawn has spoken extensively on a variety of labor issues before business and professional associations. He taught review courses as part of the PHR/SPHR Certification program, as well as a 15-hour seminar course for graduate students on alternative dispute resolution. The office managing shareholder of Littler Mendelson's Phoenix office, Shawn is a member of Littler Mendelson's Associates Committee and also serves on the firm's Diversity & Inclusion Council and the Good Business Practices Committee. Previously, he worked as an associate at a firm in El Paso, Texas, and at another firm in Phoenix. Who Says That Social Networking Is Just for Kids?